Walmart's selling the gold-colored Acer Chromebook 14 (CB3-431) with 4GB RAM, an Intel Celeron procressor, and 32GB of storage for $220. If you’re not considering a Chromebook when you're shopping for a notebook, you’re doing it wrong. Google's low-cost laptops are typically light, fast, secure, and have almost everything you need for remote work a.k.a. the Internet. Today, you can get in on the action for a great price. Walmart is selling the Acer Chromebook 14 (CB3-431-C6ZB) for $220Remove non-product link. That’s about $30 to $40 cheaper than you’d usually pay for this laptop. Some Chromebooks skimp out on specs to hit lower prices, but the Acer Chromebook 14 includes everything you need for a solid experience, including an Intel Celeron processor(N3160), 4GB of RAM, and 32GB of onboard storage. It has a 14-inch 1080p screen, a 100 percent aluminum chassis, and, in my opinion as someone who owns this laptop, a comfortable keyboard. 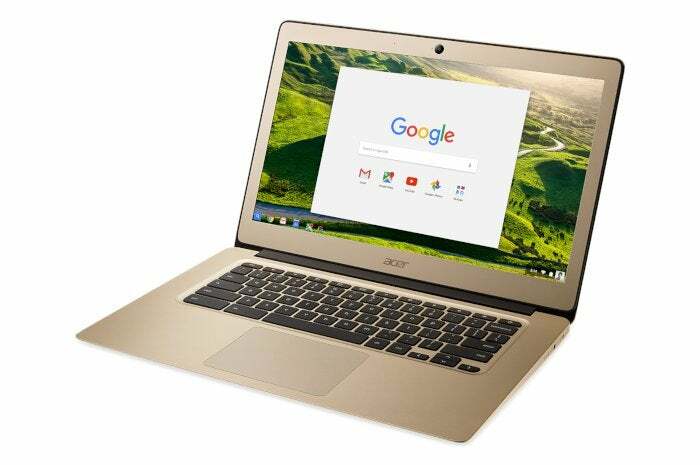 Note, however, that the deal only applies to the gold-colored version of the Acer Chromebook 14, which might be a drawback for some. Chromebooks aren’t just for running Chrome OS these days either. You can easily run a version of Linux on this laptop; however, you may not want to bother. The Acer Chromebook 14 was recently added to the list of older Chromebooks slated for supporting Linux apps (via DEB packages), as reported by XDA-Developers. That’s a feature that isn’t available in the Chrome OS stable channel right now, but in the meantime you can run all kinds of Android apps via Google Play.